Bonnie Angelo covered a wide range of events in all 50 states and more than 60 countries around the world as a correspondent for Time magazine. After 11 years as a Washington correspondent covering politics at the White House, in 1978 she was appointed London bureau chief and thus became the first woman to head a Time bureau overseas. Eight years later, she was named New York bureau chief for Time and later became its first correspondent-at-large. Angelo’s pioneering spirit and determination made her a well-respected journalist and a role model for other women. Angelo began her career on her hometown paper, the Winston-Salem Journal and Sentinel. She moved to Washington to become a correspondent for Newsday and then a syndicated columnist for Newhouse News Service. In 1966, she joined Time in the Washington bureau. She was a weekly co-host on the Washington television program “Panorama”. In almost eight years in London, she participated frequently on BBC, Independent Television programs and World Service radio. She lectured widely in Europe and Africa on U.S. issues and the American media. She was president of the Women’s National Press Club and was at the forefront in the battle to end discrimination against women journalists. In London, she was the first woman to head the Association of American Correspondents. Angelo took leave from her position as contributing correspondent to Time to complete her book First Mothers: The Women Who Shaped the Presidents published in October 2000. She was a member of the IWMF board of directors, and is now on IWMF advisory council. 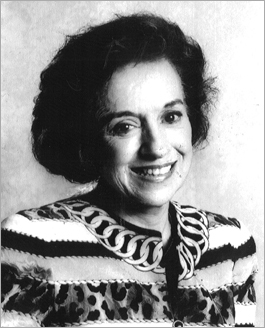 Bonnie Angelo is the seventh IWMF Lifetime Achievement Award winner from the United States, following Nancy Woodhull (1997), Meg Greenfield (1996), Helen Thomas (1995), Katharine Graham (1994), Nan Robertson (1993) and Barbara Walters (1992). Awardees after Angelo include: Peggy Peterman (1999), Flora Lewis (2000), Colleen “Koky” Dishon (2001), Mary McGrory(2002), Belva Davis (2004), Molly Ivins (2005) and Edith Lederer (2008).